Thread Sealant - Medium Strength. For Fine Threads in Hydraulic, Pneumatic and General Fittings. Fast härtet. 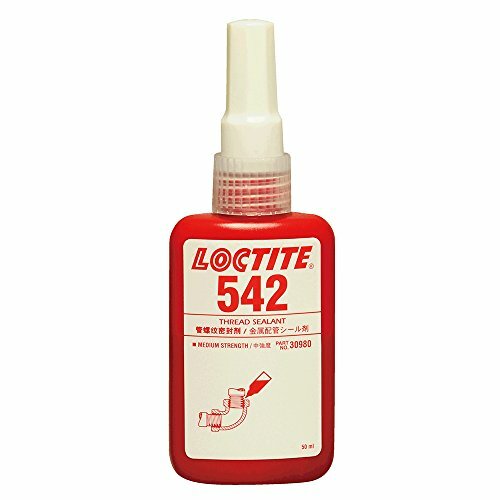 Loctite 542 is designed for the Locking (Tanz) and Sealing of Metal Pipes and Fittings AS WELL AS andere Cylindrical Metal Assemblies. The Product Wellness When Confined in the keine of Air Between close-fitting Metal Oberflächen and PREVENTS loosening and Leakage Due to Shock and Vibration. The thixotropic Natur of Loctite 542 REDUCES The Migration of Liquid Product After Anwendung to the.